Keep calm and carry on, Liverpool fans – a point away from home against a comparable rival is a perfectly decent result. 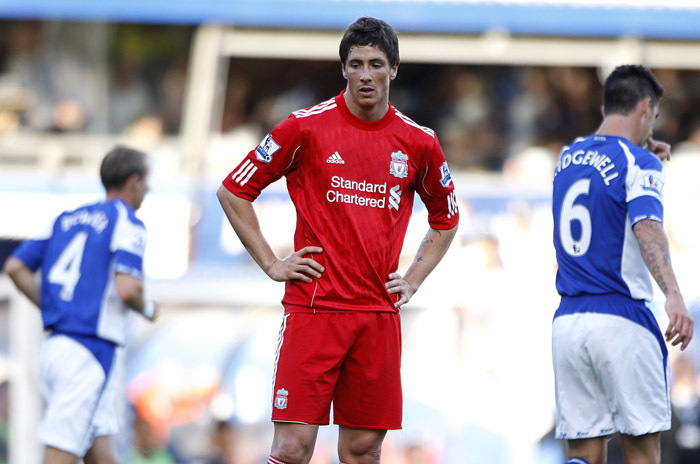 I wrote yesterday about Fernando Torres’ body language, so won’t bang on about it here. Suffice it to say that it’s far too early to judge Roy Hodgson, even if some (mental) Liverpool fans are already grumbling about Uncle Woy not being up to the job – quite why, though, I have no idea. I suppose they think that men like Christian Poulsen and Paul Konchesky aren’t fit to play for one of the biggest clubs in the world. Time for a reality check, methinks. As for Birmingham, Big Eck seemed happy enough with the result too, so, er, everyone’s happy(ish). Except Torres. D’oh! thank god for pepe reina. Maybe its the London gloryhunter fans or woolybacks on the internet, but the real fans in Liverpool have our expectations well and truly lowered this season. Konchesky is a great signing and had a very good game at Birningham. I havnt heard anybody call for Hodgson to be sacked or anything even close to it, we like to give players and managers more than enough chances up here (look at Ryan bloody Babel for instance).